As long as the Admin is cool with this, I know a lot of us chat local brews and beer in general in the GDTs and wherever else, so I figured a thread on the subject might be fun in this so far kinda boring Ducks summer. Checking out the new Stone Church Brewery in Corona today, so far so good. Their Red Sea Rye IPA is fabulous. Omen Oatmeal Stout is solid. Covenant IPA is a good summer IPA, finishes light and fruity but still has some heaviness and bitterness. I had a Pepsi the other day i believe. I prefer Coca Cola, but i made it work. A 7Up recently too, as i enjoy an occasional lemon-lime to keep things interesting; My other favourites are Mountain Dew and Orange Crush. Other than that, its been good ole Ontario tap water to keep my thirst at bay in these sweltering months. What am I sipping on this summer you ask? I'm sipping on a very impressive 2016 vintage H2O. Straight from the tap and filtered through a refridgeration unit, subtle notes of, "ahhhh that's freshing" and "yes, that really quenched my thirst" dance upon the tongue immediately on contact. Know worldwide for it's smooth finish, this vintage has also drawn acclaim for it's ability to sustain life if consumed within 3 days. All in all a very impressive offering from the 2016 Earth collection. A variety of things: Ballast Point, Stone, and Hanger 24 brews. Also have taken to Lagunitas brews. I like the IPA. A couple of days ago, shared a pitcher of some BJ's restaurant "Oasis Amber" on tap. It was very crisp and refreshing. Recommend it to all you folks who like ambers. I've become a Red Coat. During the day, a glass of cider with ice. I always thought it was dumb to put it om ice as the British do. But on these stupid hot summer days it's the most refreshing thing. Noting beats a good mojito on a hot day. Not a big beer fan myself which is rather odd because I'm Belgian and we're kinda famous for it. 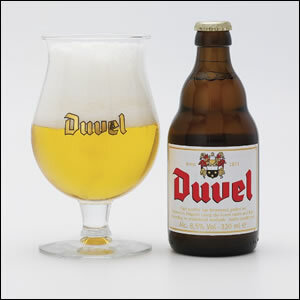 If one of you ever came to Belgium let me know and I'll show you a couple of places where you can find the best beers. Darned near anything from Central Coast Brewing in SLO. They finally got their Terrace Hill Double IPA back on, so I'm drinking that as much as I can. Good maltiness, not the expected hop-bomb of the typical West Coast double-style, but still enough to balance out the 9.5 ABV. Stenner Creek Stout, Keller Pils, and a few others. Still jonesing for Coronado Stingray IPA to make its way up here in cans, be so much nicer at the beach not having to hide bombers of that. The big eye is ok. I've been on the hunt for Watermelon Dorado. I hear it's excellent. OOPS. Not a Cali brew. My bad. Not sure where down your way would have it on tap, but I'd check the Total Wine in Northridge for bottles/cans. If not there, try Green Jug in Woodland Hills, but they're smaller, bit of a long shot. Favorite Ballast Point...hmm...Victory at Sea. Favorite San Diego brewery of the moment: Rip Current. Their Deep Crimson Imperial Red Rye is one of the best beers I've ever had. Belching Beaver's Great Lei proved a nice refreshing IPA, very tropical. Wien's Brewery was a decent little place near Temecula's wine country (its owned by the winery of the same name), nothing stand-out but nothing bad that I tried. Got a Denver trip coming up this weekend, so my tastebuds and liver will be getting a good workout soon. I'll have to try some of these recommendations when I get back. Potent stuff.....10% ABV Double IPA. It's serviceable, but was not my favorite Ballast Point brew. Trader Joes had carried it, and you can buy singles there (I Bought three). I know I've seen it at Total Wine at some point. Except the one time, I was actually looking for it. You know how life works. There's also a BevMo right next to that too. But Total Wine is just so much better. BevMo is overpriced. I won't buy anything there unless I get a 20% discount coupon. Some of the grocery stores have great prices if you buy quantity (4-6 fifths on spirits, or 4-6 six packs beer). You like strong Double IPA-I would suggest Lagunitas Maximus......not quiet as high ABV at 8.2, but very good/bold. Ah Lagunitas, my gateway brewery. Just wish their Imperial Red wasn't a limited release. Looking forward to that 12th of Never they're bringing out. The "2 Towns" brew I pictured on page 1, while not a California brew, sure is good. It's got an ABV of 10.5 which would normally be too strong for me. Not with this one. After one bottle, I'm even nicer to King fans. I've got one decent local cidery up here that makes some solid English-style ciders. All at least 6% ABV, most 7+, but damn they are good. Did a whole mug of one last night, too hot to start off with anything else at my local. Bristol Cider House is the name, and they're dog, footy and rugby friendly to boot. Couple more starting up, so I'm hoping to have more good cider before the summer's out. None of that tooth rotting liquid candy. I like thr Irish cider. Way less sweet. Angry Orchard, while I do like is only tolerable for one. Like the new trend for grown up root beer. Only one. And a proper pint of Guinness is still my favorite. It has a pathetically low ABV. It's more low than your average American "piddle water". A proper pint of Guinness is a wonderful thing. And while it may be 4.4, unlike St. Louis sewerwater or Rocky Mountain moose piddle, it drinks well above its weight, if you go with ABW rather than ABV. So between working a ton of OT hours lately and getting locked out by NHL.com's password change thingy, I've been MIA for a bit. Denver trip was fabulous. Fate, Horse & Dragon and Funkwerks all got visits this go-round, and I got a lot of fresh Epic drafts. Top marks for Funkwerks, fantastic Belgian-style ales, and Fate has the smoothest & brightest-flavored IPA I've ever tasted. Looking to get an SD trip in before the 6-day workweeks start. And in the meantime, definitely gonna look up some of the ones you fine folks have posted! So, hitting the Coronado hard lately. Senor Saison, Blue Bridge Imperial Stout, looking forward to Punk'in Drublic. Had some Abnormal Beer Company stuff the other night, but the problem with growlers is no names once the tag's cut off. Really friggin' good. Toolbox is fantastic, so many sours. Getting a tad impatient for Silva Brewing to open in Paso...after what he did at Green Flash, I want more! I was working over at Angel City Brewery last week. Although they closed before I could get a beer. I did receive an IPA and a Session IPA the next day. Not to shabby if I do say so myself.